If you’re like most people, it’s safe to say it takes a little while for you to get going in the morning. If you can’t seem to do without your daily cup of coffee, you might occasionally wonder why exactly you’re so dependent on the popular beverage. It Stimulates the Body: Caffeine is a natural stimulant, and whether you slept like a log or had a restless night, you probably rely on coffee to invigorate you in the morning. Though there’s no evidence coffee improves bad moods, it’s true mild stimulation can have a positive effect on the body. 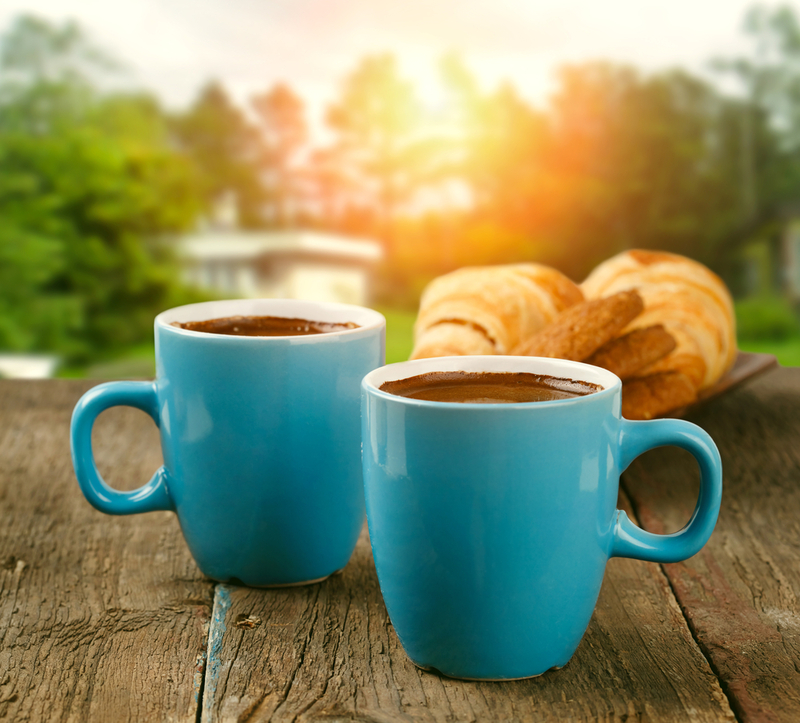 The brain may associate starting the day with this small boost, and thus, you inevitably crave a cup of joe to deliver a little perk-me-up first thing in the morning. It Tastes Great: Coffee can be prepared in hundreds of different ways, and it also makes an excellent complement to your morning eggs or breakfast sandwich. And you don’t have to have a specific affinity for a bitter coffee bean to appreciate a piping hot cup of the stuff. Dessert junkies can get their fix through mocha lattes and cappuccinos, and sometimes, that’s the best way to start the day—with a sweet smile. It Becomes a Habit: There’s no denying that, for many, drinking that first cup of coffee is the best part of the day. Caffeine can be habit forming and difficult to resist, and that’s what makes it so important in so many people’s lives. In addition to simply tasting good, it’s reliable. You can always count on a morning cup of joe to revive your spirits, brighten your day, and satisfy a craving. Some forms of coffee are also purported to have health benefits, which is just another excellent reason to make this rich beverage a part of your life. Whether you’re a chronic coffee drinker or an occasional enthusiast, you can savor each sip without guilt. Country Omelet is a first-class American restaurant in Richburg, SC. Open 24 hours a day, seven days a week, they’re available around the clock to satisfy your coffee fix—and they also serve a menu of delicious favorites, like eggs, omelets, sandwiches, grilled chicken, and even fried shrimp. Visit their Facebook page to browse the menu, or call (803) 789-5840 to place a to-go order anytime.